It is called crafting in bed. at any rate you can craft this anywhere however due to illness and lack of crafting I wanted to find some things I could easily do in bed so on my worst days I did not feel like I was missing out on at least a little bit of creativity. I did this a little diff to the class card however I think If I could go back I would leave off the glossy accents and maybe add a small frame or some such around what I wanted to highlight. Yes that’s right Doing another (well a bunch but this is the only active one the rest are at my own pace as such) Online Card Class. So here it is Mr Holtz has presented us with a brand new challenge. Instead of the 12 tags of Christmas (Which in a way I kinda hope he will still do in addition to the monthly tags yes I know I am greedy) we now have the 12 tags of the Year. This begins with the season of Love. Now I thought about this for a while, a friend said she was going to do a mini album so that nixed that idea, lots of people do cards again nixed that Idea. So I have decided to do Coasters. Now I do have a plan for these but want to leave it a bit before I share what I will be doing with said coasters. After all with 3d elements they will definitely not be for drinks! For this coaster I used Tim’s Love Stamp, his script one. 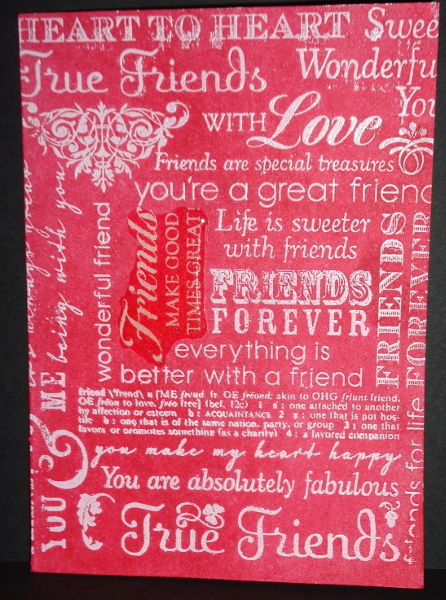 Stamped onto tissue paper and layered ( I used the Paint Dabbers in Raspberry and pale pink for this and also used them directly onto the stamps). Them over the coaster that I first painted in snow cap. 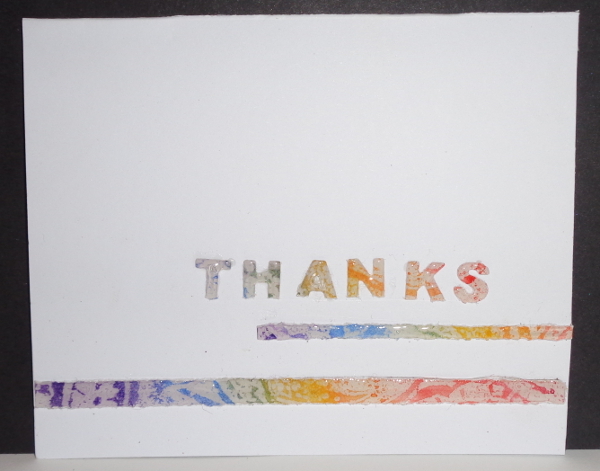 Once I had done this I used a Cuttlebug Die of Nested Hearts to cut out some cs for the centre heart. The centre heart is not an even heart. I glued them together onto a chipboard base also cut from the Die. It took a bit of practice to know which way to fold the hearts but once I got it, it was small side to small side and larger side to larger side. 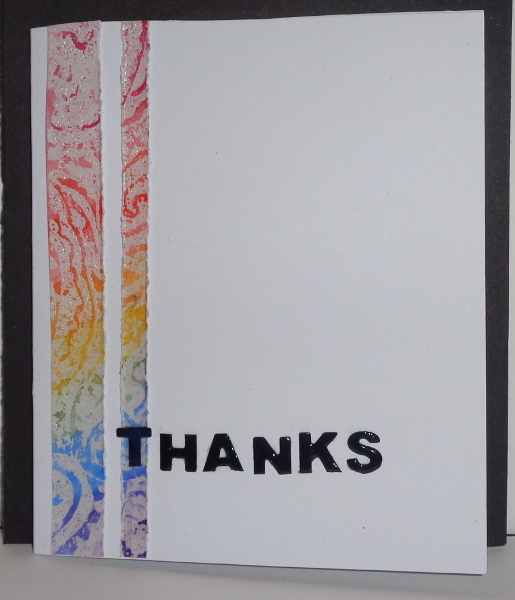 Glued them together to make a concertina effect. Misted with Smooch Spritz Cherry, hand painted each section with Multi Medium, before sprinkling with Red Laser glitter from Stuff by David. The Flower is made with hand dyed Tattered Inspirations Seam Binding. This I stitched the bottom of and gathered it to form the flower, then ran the stitches through the bottom. Lastly adding a small Kaiser Rhinestone to the centre. Winsor & Newton watercolours form the stem and leaves. These were then painted over with Renoir Iridescence Medium, and then traced around with a felt tip pen.